Introduction and objective: The main exogenous factors limiting the retrieval of information from human remains are fire and accidents involving high temperatures. 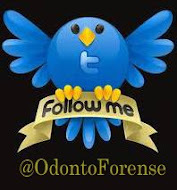 Teeth, due to their relatively high degree of chemical and physical resistance, offer the possibility for the recovery of genetic material, becoming important in forensic cases. With the aim to contribute to a standardization of the protocols employed in DNA extraction and analysis, it was evaluated the integrity of DNA recovered from dental roots submitted to high temperatures, simulating what happens to burnt people. Material and methods: Extractions of genomic DNA were made from the dental root after exposure to high temperatures (600ºC, 800ºC and 1000ºC), during 10, 30 and 60 minutes. Results and conclusion: After molecular analysis through PCR technique, it was verified that DNA amplification of the samples was not possible at any of the periods and temperatures analyzed. Article published in: RSBO. 2012 Jan-Mar;9(1):67-73.